There are a variety of ways you can donate to West Norfolk RSPCA which are quick and easy to do. A big THANK YOU from all the animals at the centre for your donations. Every donation and/or gift will make a difference. We also have an Amazon Wish List which you can find by logging onto your own Amazon account, then go to “Your Lists” and hover of the dropdown arrow. Click on “find a list” and enter RSPCA Norfolk West. 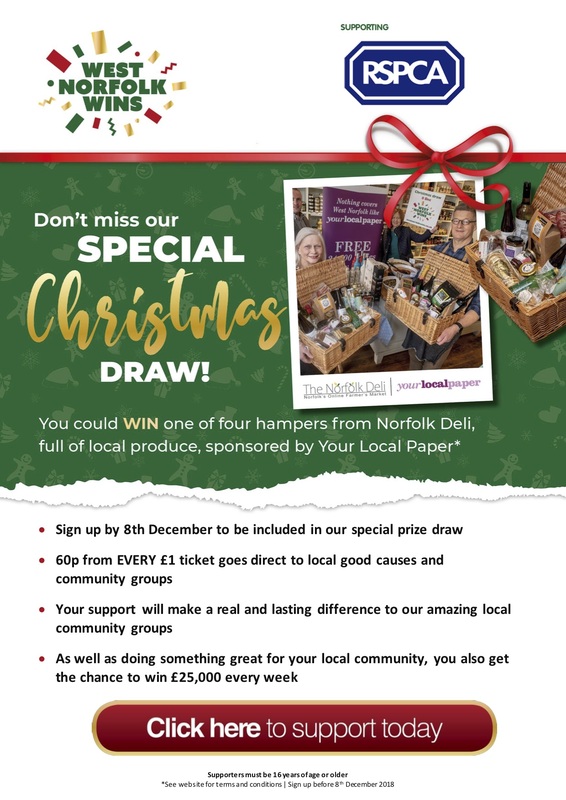 Play the lottery, support West Norfolk – it’s that simple! On the Easyfundraising page you can raise money when you shop online. And the beauty of it is, it doesn’t cost you a penny! Sign up using the link below and start raising funds for the centre. Our new Just Giving by Text service has just gone live. Every penny donated comes to us to look after the animals in our care. You can text £1, £2, £3, £4, £5 OR £10.